to give the student the ability to correctly interpret arithmetically obtained results. The authors have tried to meet these objectives by presenting material dynamically, much the way an instructor might present the material visually in a classroom. 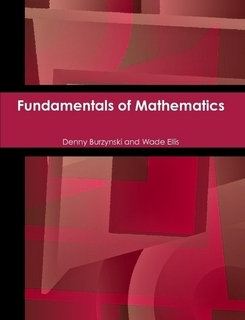 Intuition and under�standing are some of the keys to creative thinking; the material presented in this text will help the student realize that mathematics is a creative subject. This text can be used in standard lecture or self-paced classes. License: Creative Commons Attribution. This license is considered to be some to be the most open license since it is the least restrictive. It allows reuse, remixing, and distribution (including commercial), only requiring attribution. The content can be remixed into content of other license, but on the other hand it allows the remix to be put under a more restrictive license. HTML. An HTML file is a web page document. It can be opened by any web browser. It is an editable format. Openness Comments: While the license is extremely open, some users wishing to modify the book might find using Connexion's platform daunting.